One time a man was going on a journey from one town to another. The road was very lonely. No other travelers were in sight. 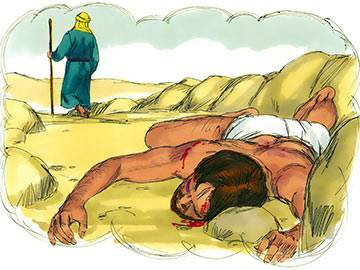 The man’s heart went thump, thump, for he saw some thieves hiding by the side of the road. As he came nearer, they jumped up. They jumped on him and beat him. They robbed him of his money. They took away his clothes. They hurt him very badly. Then they went away and left him. He lay there a long time. No one came. It was very lonely. Then, at last, the man heard a sound. Surely it was footsteps. Closer and closer they came, step-step-step-step, right along. They drew nearer. They were very near. A man came in sight. The man was a priest from the temple. Surely a priest was kind and would help. But no. The priest took one look at the man who was hurt. “He is not anyone I know,” he thought. “Why should I bother with him?” And he passed by on the other side of the road. Then, again, he heard footsteps. Closer and closer they came, step-step-step-step, right along. They drew nearer. They were very near. Another man came in sight. This man was a Levite. 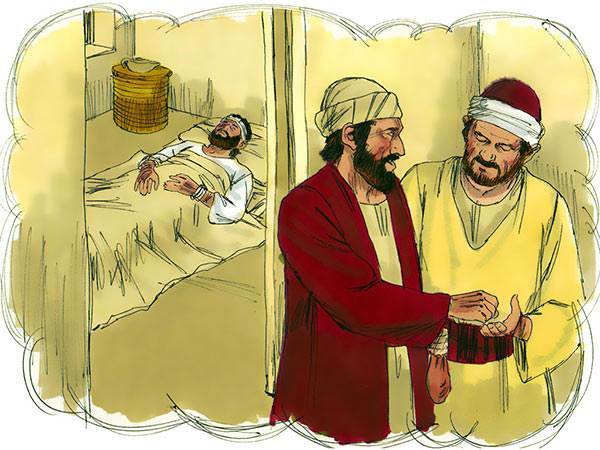 A Levite was a caretaker in the temple. 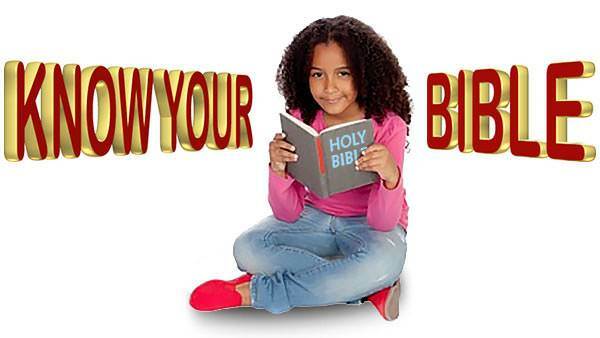 Surely a Levite was kind and would help. But no. 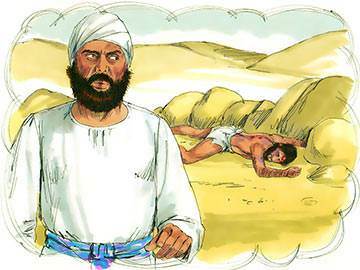 The Levite took one look at the man who was hurt. “He is not anyone I know,” he thought. “Why should I bother with him?” And he passed by on the other side of the road. The poor man who was hurt heard him go. “Oh,” he thought, “will no one come along and help me?” He was getting weaker and weaker. He lay there a long time. Then—hark!—there were footsteps again. Closer and closer they came, step-step-step-step, right along. They drew nearer. They were very near. But they were not a man’s steps. They were the steps of some animal. A little donkey came in sight. On his back there rode a man. The man was a Samaritan. 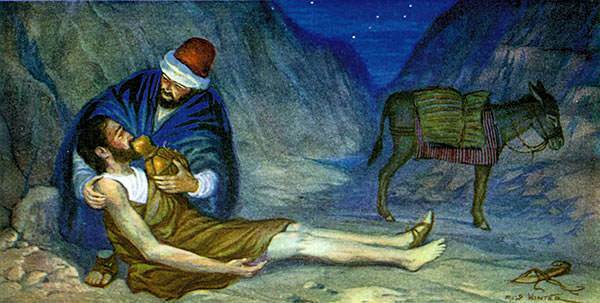 A Samaritan was a person from another country. He was a foreigner. Perhaps he would not want to help a man who was not from his country. The footsteps stopped. The Samaritan was getting off his donkey. He was crossing the road. He was looking down at the man who was hurt. He stooped over and put his arm around him. He took oil and poured it on the poor man’s cuts. 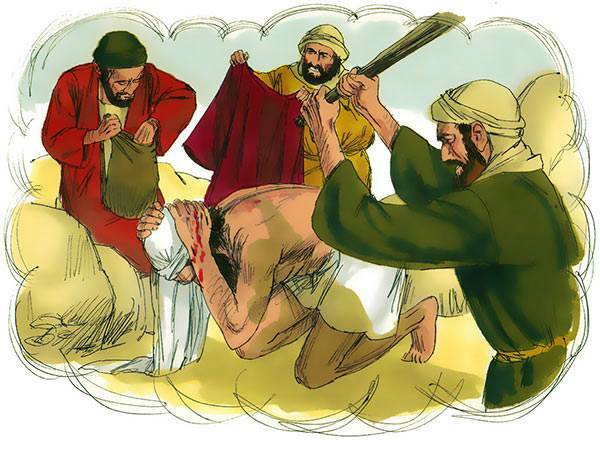 He bound a cloth around them. Then he lifted the man up. He helped him to get on the back of the little donkey. 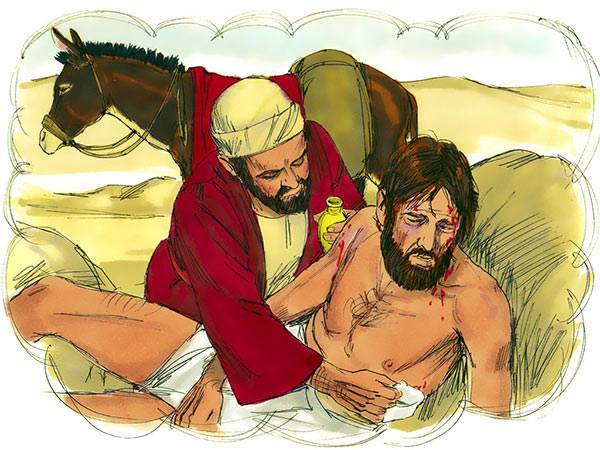 The Samaritan himself walked along beside the donkey, while the hurt man rode. By and by they came to a house. The house was an inn where travelers could stay. 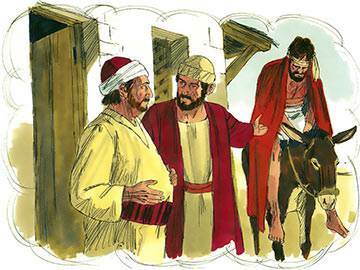 The Samaritan took the hurt man off the donkey and led him into the house. He put him to bed and cared for him. He counted out money from his bag. He said good-bye to his friend. Then he got up on the back of the little donkey and rode away.